The Public Leadership Institute (PLI) creates and disseminates research, talking points and model legislation on a wide range of state and local issues related to economic opportunity, civil rights, education, healthcare, the environment and reproductive freedom. Our best known policy tool is the Progressive Agenda for States and Localities, a menu of specific policy ideas and model legislation. Legislators in more than 40 states and council members more than 50 cities have handed 5,000 copies of the Progressive Agenda to their colleagues. 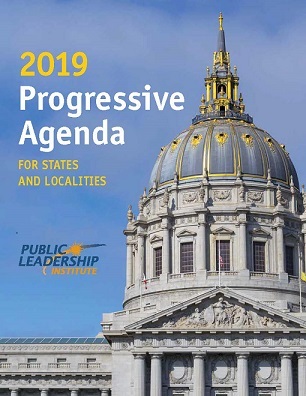 PLI also reports on progressive and conservative legislation with our annual Progress in the States and Localities and monthly Compendium of State and Local Legislation. All of our policy resources are accessible through the PLI website.